A feature offered by most CAT tools is the possibility of creating project memories from larger memories. Typically, to create a project memory, the PM analyzes the files to translate against a master memory, and the CAT tool includes in the project memory only the segments that would be useful as fuzzy matches. 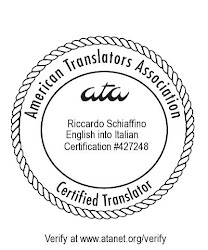 The translator thus receives only the part of the translation memory that provides fuzzy matches and 100% matches. There are several different reasons to do this: from the need to give the translator smaller files, to the requirement of not sending out a full translation memory because of the risk of disclosing some sensitive or proprietary information. Whatever the reason for creating limited project memories, end customers, translation companies and project managers often overlook something important: a project memory is, by definition, an incomplete memory. This harms translation by limiting the usefulness of concordance searches. A term already translated in a segment that is not similar enough to other segments as to be a fuzzy match would not be found by a concordance search on a project memory, whereas that very segment would be found if the same search were conducted on the master memory. Not finding an already translated term because of the limitations of project memories affects the quality and consistency of the translation. The customer or the translation company may still decide that security reasons outweigh the quality disadvantages of using project memories, but the choice should be deliberate, not something arrived at by chance out of not trusting the translator. I am fully inline with you especially because this is more often done for the wrong reason (sending smaller TM files rather than for real security reasons). This is where real-time online translation makes a lot of sense, as translators can easily work with the full TM without the need of exchanging files. Moreover all translators benefit real time of the others' translators on the project, which can only improve quality.